For the best possible results, it is important to find an experienced LASIK eye surgeon to perform this procedure . In the fast-paced society of today, people are often inconvenienced wearing a pair of glasses; or worst, do not have enough time to maintain wearing contacts particularly doing the important routine required to keep them properly maintained. The easiest solution presents itself in the form of LASIK eye surgery. Having laser eye correction frees people to do as they please without their vision being a factor in hindering them from the things they want to do. If you are considering laser eye correction and are looking for a laser eye surgeon, and live in Concord or north Charlotte, a very experience eye surgeon is available to you. Do you qualify for LASIK eye surgery and is it right for you? LASIK eye surgery is a very common surgery that is mainly performed for those who want to correct certain vision problems. The main objective of LASIK eye surgery is to restore eyesight to 20/20 vision. A Concord laser eye surgeon usually performs this procedure in around thirty minutes. That means it is both quick and effective. LASIK is a laser eye correction that stands for Laser-Assisted In-Situ Keratomileusis. When your laser eye doctor performs the correction, your cornea is refashioned so that light enters your eyes in a better way than before. Your laser eye doctor will tell you that LASIK eye surgery targets nearsightedness and farsightedness. LASIK eye surgery is for all ages, and even those in their twenties will benefit from being able to get rid of their glasses. There is little risk involved with LASIK eye surgery, and the few risks that do present themselves can easily be corrected by your laser eye surgeon. For optimal results, contact your Concord laser eye surgeon. Whether you have a fast or medium-paced lifestyle, LASIK eye surgery could benefit you. Keeping up with glasses and contacts can be a hassle and some consider them a fashion misstep. LASIK eye surgery is the most modern and efficient way to have great eyesight with as little effort on your part as possible. When you are ready to lead a worry-free life as far as your vision is concerned, LASIK eye surgery is the outstanding option for you. Nearly 80 percent of patients never have to go back to eyeglasses or contacts again after having laser eye surgery. 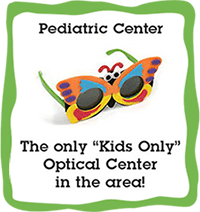 The sooner you get in contact with a laser eye surgeon in Concord, the better for your vision.